"Someone Who Knew Her", a play written by Amy White about Marlene Padfield, the Lisbon teenager who disappeared in February, 1959 and was later found dead, will be performed on Saturday, February 15 at 7:30 PM and Sunday, February 16 at 2 PM in the First Street Community Center, 221 East First Street in Mt. Vernon. This is a free but ticketed event due to limited seating. Please call Amy at 319-899-1399 or email amyloope@gmail.com to reserve a ticket. There will be a moderated community discussion after the play to share questions and memories. Karla Steffens-Moran is directing and the cast of all ages includes Kaylynn Burgin, Serena Collins, Julie Dye, Paul Freese, Sarah Fried, Darrin Gage, Keith Kenel, Mitch McAndrew, Mike Moran, Gretchen Oelrich, Morganne Reinboldt, Sarah Richardson and Helena Schultz. The Lisbon History Center is sponsoring the play and funding is provided by Mt. Vernon Area Arts Council and a Community Potluck Grant. Below is a link to a video scrapbook on YouTube about Marlene created by Andrea and Madison Gorsh of Lisbon. 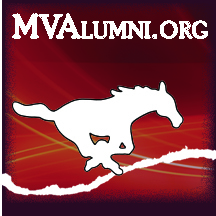 This is not a MV Alumni Association event.